Habib drove to our first over night stop which was Lake Mburo National Park. It's in the south eastern part of the country. 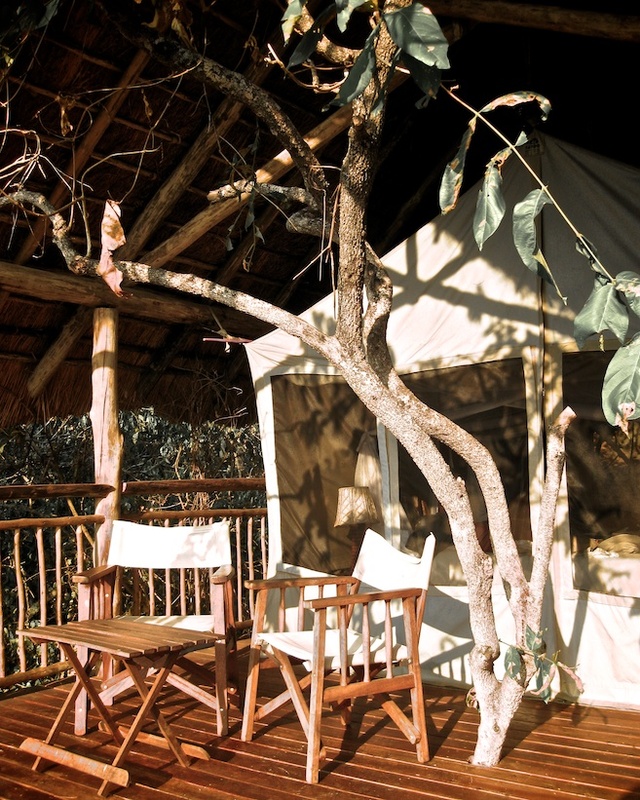 We stayed at the Mihingo Lodge which has private tents nestled in the tree tops. It was pretty amazing for a first night in Africa. The lodge has a great view over a small watering hole. Animals will come for a drink but we only saw a few buffalo. Still the setting was amazing and the food was great too. At night small bush babies come down the trees and someone from the hotel feeds them the berries they like. Great sight to see.